Our agency partners are able to focus on new leads and projects in their pipeline by partnering with MaintainPress to provide a white label solution for their ongoing WordPress maintenance and support needs. 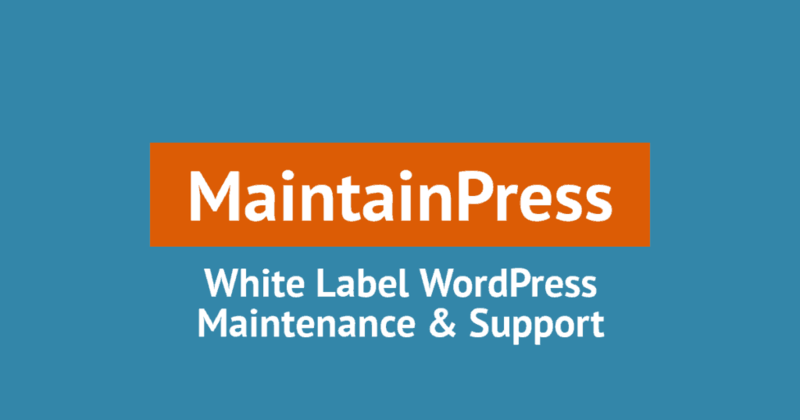 Based in Southern California, MaintainPress is a customer-focused team of WordPress geeks and support specialists that provide quality care so your clients remain happy customers for life. Stress Less + White Label More! Agency owners know what it's like to be pulled in a million different directions. It's time to streamline your agency. At MaintainPress, we maintain, secure, and manage WordPress websites for freelancers and digital agencies all across the world. By partnering with us, you're trusting your website to a team of hard-working WordPress professionals and customer support specialists that are ready to help wow your clients and grow your business. Clients may not even need to login to their site anymore with Support & Management from MaintainPress. Do they need a blog article posted, a new product in their shop or store hours updated? It's simple to create a ticket by sending a quick email to the support address. Register your client's site and provide access credentials. We will onboard the site for ongoing support within 1 business day. Clients can request assistance and updates via your white-label support box. Your team focuses on new sales, projects, and forget about maintenance headaches!